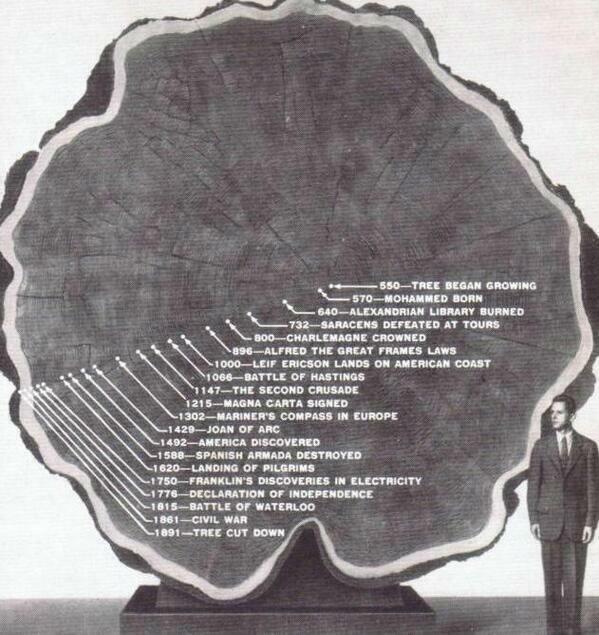 You are here: Home » How old is a tree? Not really e-learning but thought I’d share this anyway – a great idea for really understanding how old trees are as well as getting some sense of history. You could hype it up a bit by getting the birds in the tree tweeting to each other about what they could see at any point in the tree’s history.